Attention President Obama! You’re our only Hope! Welcome President Obama to the Treasure Coast and welcome from all of us that have been working hard to Save the St Lucie River and Indian River Lagoon. We have been are being decimated by the discharges from Lake Okeechobee. What once was the most diverse estuary in North America has been destroyed. Our lagoon has lost massive amounts of sea grass and it is filled with muck. Would you allow this in your backyard? People will tell you “It’s Complicated!” Its not. We need to buy this land. We need to do this now before the option on the land runs out. This purchase can be funded through our Amendment 1 which specifically states that the money is to buy the land. The Florida Water and Land Conservation Initiative, Amendment 1 was on the November 4, 2014 ballot in the state of Florida as an initiated constitutional amendment, where it was approved. The measure was designed to dedicate 33 percent of net revenue from the existing excise tax on documents to the Land Acquisition Trust Fund. The Land Acquisition Trust Fund was developed to acquire and improve conservation easements, wildlife management areas, wetlands, forests, fish and wildlife habitats, beaches and shores, recreational trails and parks, urban open space, rural landscapes, working farms and ranches, historical and geological sites, lands protecting water and drinking water resources and lands in the Everglades Agricultural Areas and the Everglades Protection Area. The fund was designed to manage and restore natural systems and to enhance public access and recreational use of conservation lands. 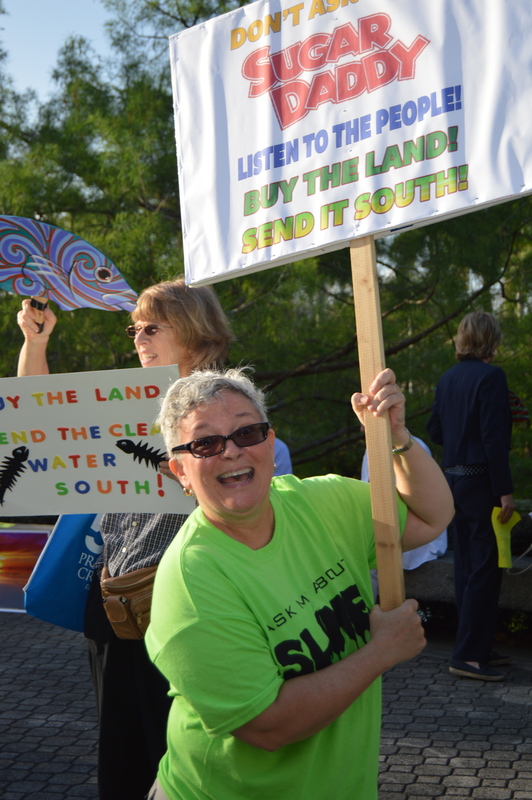 The campaign in support of the initiative was led by Florida’s Water and Land Legacy. The people of Florida support this. 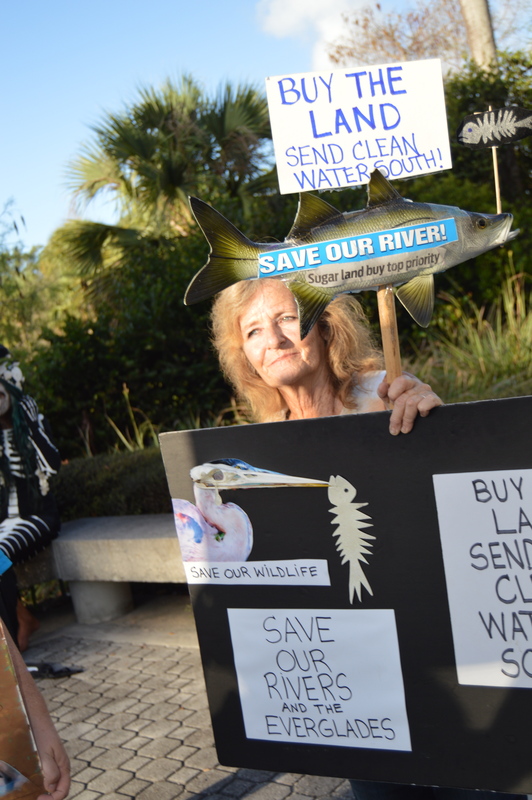 Rick Scott and our Florida Legislature wants to finish up existing projects which will result in the option running out and in the end Everglades Restoration will never be able to be completed. Billions of gallons of polluted water have been wasted flowing into the St. Lucie and Caloosahatchee Rivers. All the projects that we have going now will never be complete unless we buy this land and build a reservoir and send clean water south. This not only helps us on both coasts but will help South Florida with its drinking water which is in peril, help with salt water intrusion and sea level rise in Miami and help to save the Florida Bay which is also in peril because it does not get enough fresh water. The Everglades is the water supply for one-third of our states Population. Florida has negotiated a contract to purchase land, including 26,000 acres directly south of the lake. Buying this strategic parcel will provide water managers with a new option to store, move and clean water south of Lake Okeechobee before it reaches the Everglades. We are done ask our legislators why they won’t do this. They serve themselves. The certainly don’t serve the citizens of Florida. We have done everything in our power to make this happen. Rick Scott ignores the Science of Climate change. Rick Scott is ignoring the science of sea level rise. There are wells in South Florida filled with salt water and soon be undrinkable. This is our drinking water. You cannot let this happen to us! Delay is a self-serving position for special interests. Please help us. By the time they are done with this they will spinning it upside down and inside out. I think that’s pretty clear and not up for debate. Let me repeat this again. lands protecting water and drinking water resources and lands in the Everglades Agricultural Areas and the Everglades Protection Area. Really Senator Hays. This ok with your constituents? Umatilla, Nature’s Hometown, is located in northern Lake County, Florida and offers many outdoor activities such as boating, fishing, camping and hiking. said that. Only because I spend a great deal of time on water of Lake County and have taken 100 of photos of the Dora Canal. I know the people there. They love their water and their nature and I’m sure they do not want our water, our indian river lagoon to look like the photo above. Really? We have critical need. I don’t know whats more critical than stopping this. Because this really is a kick in the face to the voters. “Then late this week the Senate comes out with initial budget recommendations that outraged mainstream environmentalists and threatens to make a mockery of Amendment 1 goals — and of anyone who still believes this Legislature is sincere about implementing this amendment as intended when passed into law. The bottom line there is that the full amount of money intended to be used for land acquisition needed to achieve the law’s goals is not being appropriated. There are all kinds of confusing details to sort through, and a ton of legislative legalese being spread around to explain the massive shortfall. But rather than salve on a wound, it feels like salt. It feels like a betrayal. This morning we’re sending our “Death Mermaid” to Sen. Alan Hays and President Andy Gardiner. 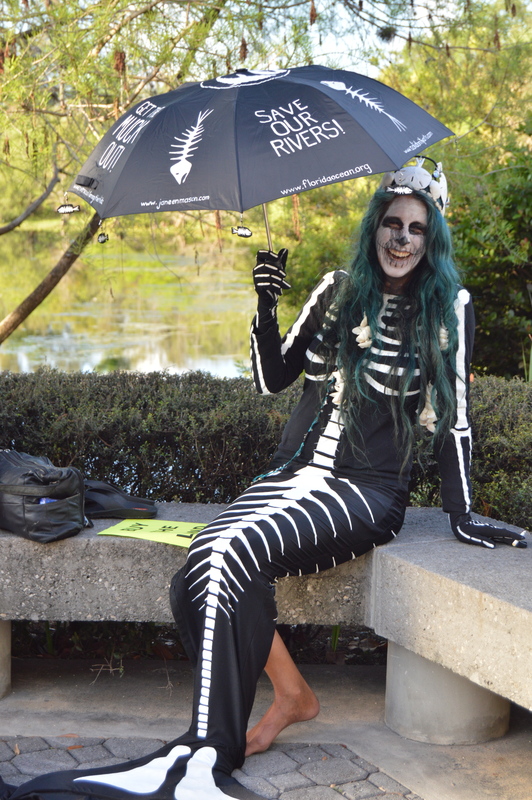 OCCUPIED TALLAHASSEE–When the Death Mermaid shows up, pay attention. Back in 1881, she appeared to Hamilton Disston, warning him against trying to drain the Everglades. Old Ham, never the most emotionally stable of multimillionaires, shut his eyes tight and swore on his mother’s grave he’d stop drinking cologne. In 1969, she scared the feds into killing the Everglades Jetport, a project beloved of South Florida Democrats. It would have been the largest airport in the world and bang in the middle of the Big Cypress Swamp. 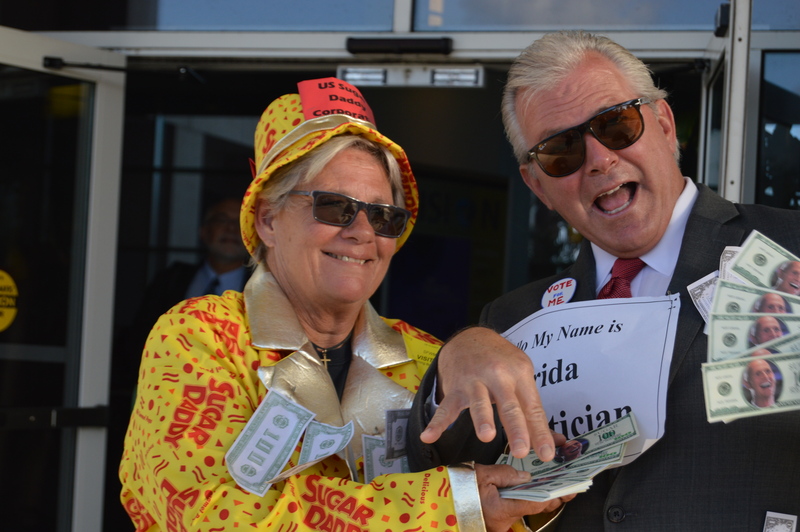 Last week she materialized at the South Florida Water Management District meeting, urging the water czars to stop screwing around with the Everglades. 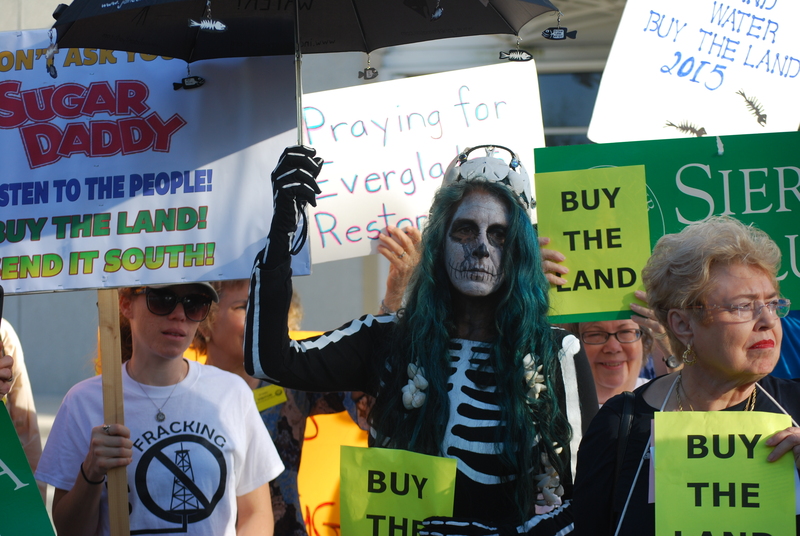 You’d think they would listen to a skeletal apparition with long green hair (probably from all that toxic algae gagging Florida waters) and a tail. But these are Rick Scott appointees: they don’t believe in mermaids – or measurable water standards. Representative Steve Crisafulli We need to buy the land. 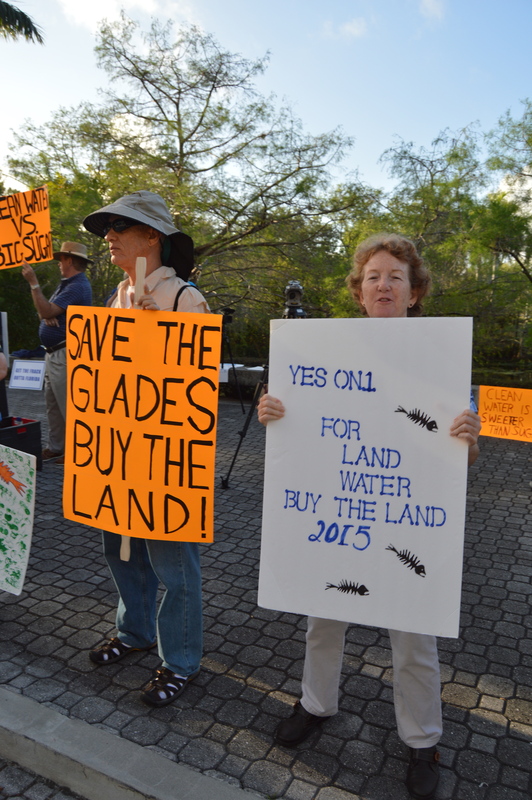 We need to buy the land so Everglades Restoration can be complete. Clean water needs to go south. We got the money in amendment one. There is a way to make this happen. Please contact him and ask him to please discuss with the scientists who understand this issue so we can fix this. That’s because when the option runs out the land can be sold for 5 times the amount. Big Sugar is reneging on the deal they made. And that’s ok with with the Speaker of the House Crisafulli. “Crisafulli wrote in an email response. “At this time, I do not support spending limited state resources to purchase more land south of Lake. My priority is to utilize and care for the land we own now. This shows his lack of knowledge on the subject. The money is there through amendment 1. If this doesn’t happen we are going to get discharges forever. Our water will always look like this and YOU the people of Florida would have destroyed not only our portion of what was once the fabulous Indian River Lagoon and the most diverse estuary in North America but our economy, our lives. If this happens this is Florida’s legacy. The people of Florida have let this happen. By not doing this you are destroying us, the drinking water of South Forida by allowing salt water intrusion, and the Florida Bay. There are plenty of scientists at the Everglades Coalition I’m sure they would be happy to talk to you! 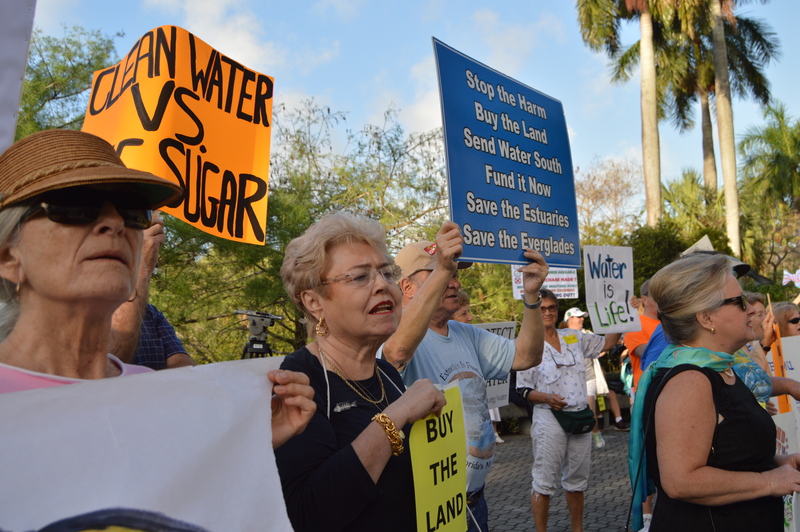 Land Buy Critical for Everglades Restoration. Time is running out. This photo was taken March 18, 2015 by Jacqui Thurlow-Lippisch. This water brings destruction AGAIN to the Indian RIver Lagoon and the St Lucie RIver. 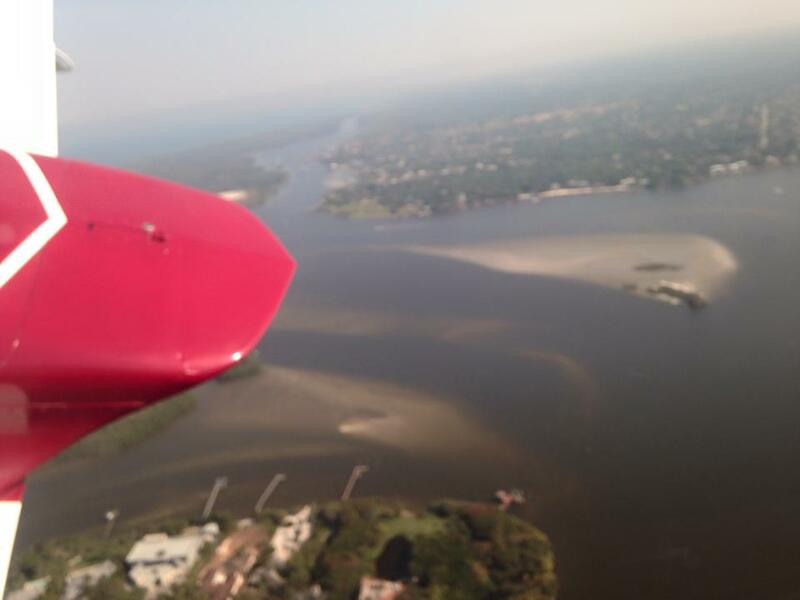 The recently released water study by the University of Florida states that even if all of the planned projects north of the lake are completed we will still have so much phosphorus in the lake that we won’t be able to do anything but discharge it into the coastal estuaries in wet years. They said we would have that situation for two centuries. 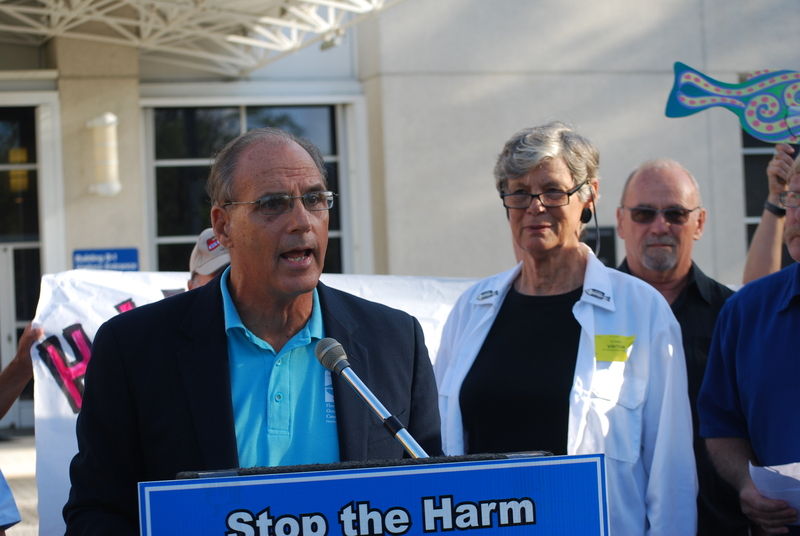 The economies, the lives and the health of everyone on both coasts of Florida is at risk. And the trade off is not the sum of Florida agriculture. It is a small percentage of land that is experiencing so much subsidence that it will be worthless for growing crops in the near future. We need to have agriculture and healthy coastal communities. But that will require more storage and treatment south of the lake. Is this ok with anyone because it seems to be ok with the board of Govenors of South Florida Water Managers, RIck Scott, and our Florida Legislators. Who does this? We got you the money for the land and the same people are now stealing it. This is intentional destruction of our environment and economy. When we elect people their jobs are to take care of us. Not themselves and their cronies. what can we do? Let’s start adding up how much this is costing. Tampa Bay TImes Stunning Disregard for the voters! “The measure’s language and ballot summary were absolutely clear: It was intended to increase land preservation. Campaign materials also spelled out its intent. Citizens groups launched the initiative after lawmakers had virtually abandoned the state’s land acquisition efforts. Please like this page , facebook and tweet your friends. Leave me any suggestions. This is happening to us and it can happen to any of you.